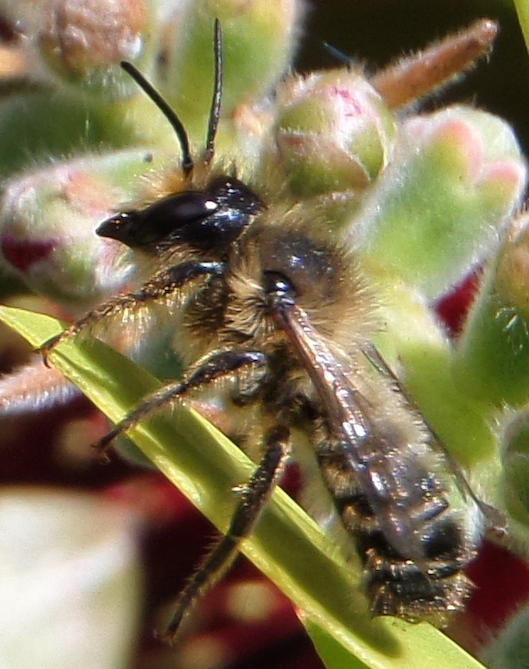 Another of the barely noticeable bees that are common garden vistors. Their nests are constructed within existing cavities, including insect burrows in dead wood, crevices in masonry, and my bee house! The cell partitions and the closing plug are made from masticated bits of leaf sections (leaf mastic). One of the plants visited is cat-mint that grows around my pond.